Note: Jetbrains now support '.jar' and '.zip' distributions - '.war' distributions are not supported. Install JetBrains YouTrack on a CentOS 7.0 VM. Use the distribution OpenJDK and Tomcat v7.x to host YouTrack v6.x. Install tomcat, which will pull in the openjdk. 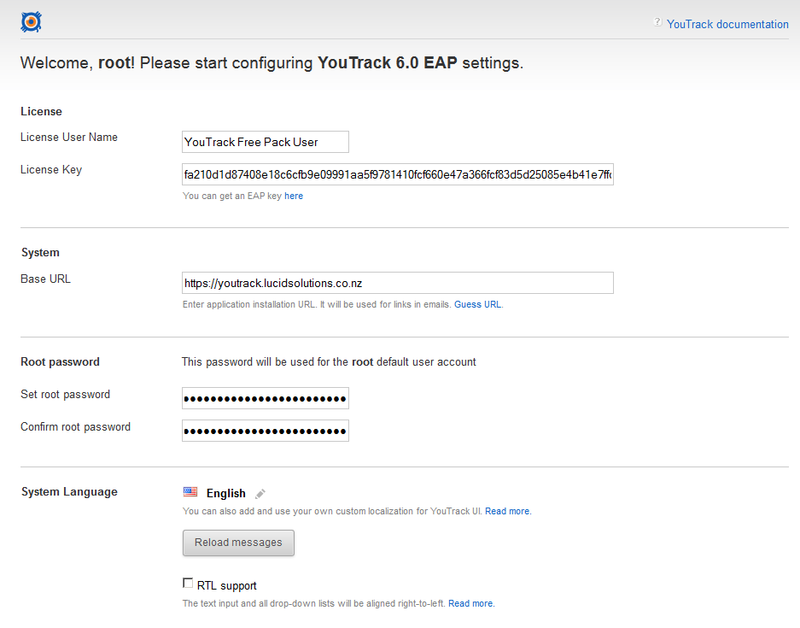 The YouTrack will server will store it's data in the home directory of the identity it runs under. Since it is running in the tomcat server this will be in the '/usr/share/tomcat' directory. Add an entry to /etc/fstab to mount the filesystem in the ~tomcat directory. Note: The maximum length of the ext4 label is truncated at 16 characters. Download and copy the distribution WAR to /usr/share/tomcat/webapps as the root application. # All http traffic is redirected to https.